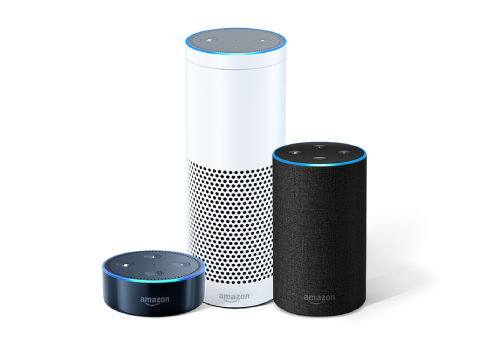 Voice assistants in general and Amazon's Alexa specifically have become ubiquitous in the home. Why not bring Alexa to the office as well? This Alexa Skill will connect to your Malwarebytes Cloud account and provide certain summary information. Voice-first executive summary for Malwarebytes Cloud. Fast, convenient, and accurate data available instantly. Available to all Malwarebytes Cloud accounts. An account on the Malwarebytes Cloud server (https://cloud.malwarebytes.com). Enable the Malwarebytes Cloud skill as you would other Alexa skills, with the additional need to link the skill to your Malwarebytes account. Here is the skill on Amazon: Malwarebytes Cloud Alexa Skill. Don't have an Echo device? Watch a 5-minute video to imagine the possibilities. In Alexa skills, an Intent represents an action that fulfills a user's spoken request. Here are the three Intents currently implemented. Account Information - Get the account information of the Cloud instance linked. Summary Report - Provides a summary of detections and endpoints for the account. Detection Report - Detection report for any previous duration that can be specified (spoken), such as "24 hours", or "3 days", or "one week".